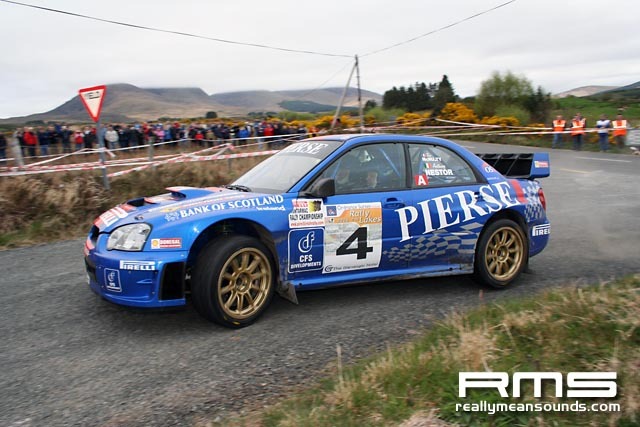 Killarney is one of the most beautiful settings for a rally in Ireland and has some of the most well known stages on these shores, the 2006 event dropped 1 or 2 of these stages in 06 but kept the main classics and what an event it turned out to be. With a controversial decision at the start excluding Donnelly due to comments made in a press release days before the start of the rally about the event it was due to be a hot weekends action on the stages and hot it certainly was not only in action but the weather was outstanding until Sunday afternoon! Day 1 saw Molls Gap as the opening stage and then the cars went onto to run 4 more stages twice. Day 2 the drivers had to contend with 4 stages run twice with the 2nd loop being very wet and Tim McNulty with Co-Driver Anthony Nestor in thier Impreza WRC came out on top with a very well deserved win after a great drive even after a few moments, championship leaders Eugene Donnelly & Paul Keily finished second only 42.4 seconds behind McNulty in the Corolla WRC (allowed to run as the Stewards of the meeting lifted the exclusion order) while Derek McGarrity & Dermott O’Gorman took the final podium position after a good drive. In GrpN Seamus Leonard co driven by John McCafferty took the class win and 7th overall in the Evo with Alan Ring & Brian Duggan coming 2nd in class in the Impreza. 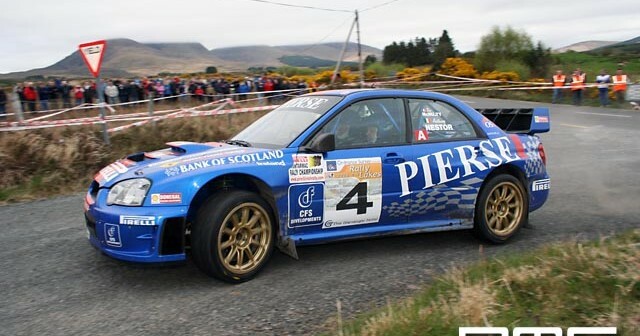 Finishing the GrpN podium was James Foley & Dominic Markey in the Evo9. In the modified class Phil Collins from Hereford took his amazing mk2 to the finish 1st overall ahead of Mark Courtney & Paul Kelly with Lisburn man Wesley Patterson & co-driver Llinos Jones Edwards in the "Feckin Irish Whiskey" mk2 taking 3rd. Historic results to follow along with others!